Elderly "Reflections" — Anna Akbari, Ph.D. The Conversation: An artist recently created a series of photos of the elderly peering at their younger selves, via the magic of photoshop. How much of our younger selves do we still see within our aging bodies? 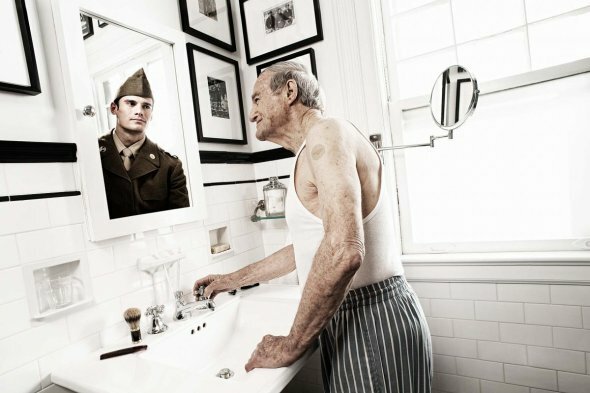 In an age-obsessed society, can we accept the older image in the mirror?